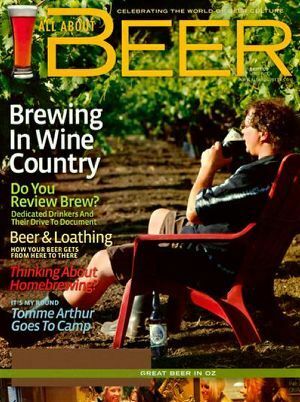 All About Beer Magazine, the best beer publication in America, is a consumer magazine designed to keep beer lovers happy with a wide range of information, beer education and entertainment. Each issue of All About Beer Magazine features articles on the full range of beers available on the market, as well as the most recent political and social issues that affect the pleasure of beer drinking. Other topics found within All About Beer magazine include beer history, methods and traditions of brewing, and the culture surrounding beer appreciation. Find out why All About Beer magazine has been voted the "Best Beer Publication in America" four years in a row.